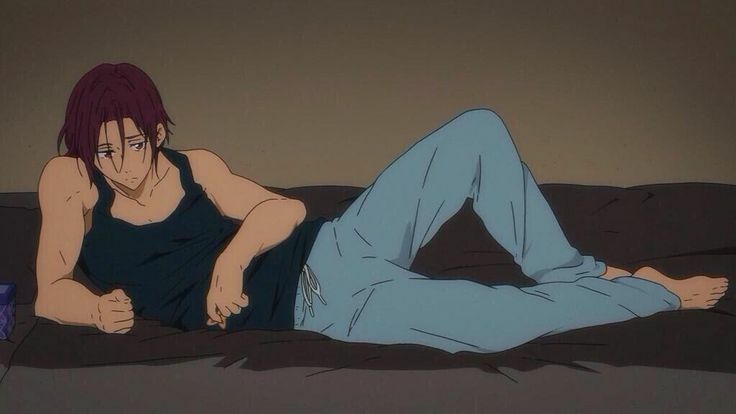 Rin Matsuoka is a character of the anime series Free! Iwatobi Swim Club and Free! Eternal Summer. We also see him in the movie Free! Starting Days which is the adaptation of the novel High Speed. He use to go to the same elementary school of the 2 of the 4 other main character of the anime series, Haruka Nanase, Makoto Tachibana. They were part of the same swim club with another main character Nagisa Hazuki. But when came the time to start the middle school, Rin move in Australia with the goal to become the best swimmer in the world. His dream was to fulfill his late father dream, become an Olympic swimmer. But due to various circumstances, he quite swimmer. It only when he came back to Iwatobi and had a race against Nanase, that he decide to start swimming again. Unlike Daiki Aomine, I liked Rin right away, the guy is fabulous, I just love his style and character. He is really stubborn and he always try to not show is soft side too much like when he worried about Makoto when he had a training camp near the ocean. ( Makoto is scared of the ocean). he also really care about his little sister even if he doesn’t really tend to show it. That why Sosuke Yamaziki his childhood best friend lie to him. Sosuke didn’t want to see Rin worried about him. 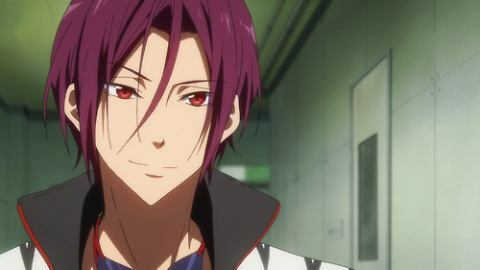 After the first season, he became the captain of his swim club (Samezuka Academy), even if at first his wasn’t really sure about it, he prove more than once that he had all what it take to be a good club captain. Rin Mastuoka is a precious little shark.